Twenty whole minutes into Castaway on the Moon, you’d actually believe it to be a parody-take on the lonely, estrangement of a single character perfected like never before in the Tom Hanks starrer, Cast Away and also in the recently directed Moon. I loved both these movies myself, feeling immersed in the most desolate loneliness that a modern world could throw on you, having to handle your survival solely on your own terms, and will power, existing solely for the reason of survival, et cetera. But that’s where Castaway on the Moon stops being desperate and mournful to the point of shoving you into that box of face-tissues. Because our hero Mr. Kim here has somehow managed to get himself into a very similar, lonely situation such as Hanks’, except the fact that “lonely” ain’t exactly what you think it means here.. In fact, he finds himself a castaway, on an island, bang in the middle of a river running through the very heart of the bustling city of Seoul, right beneath a huge, congested bridge, in full view of all the skyscrapers around! No one seems to acknowledge the fact that the island exists, even if some do, they don’t consider it habitable. There’s no satellite signal here, his mobile dies, he’s too scared to kill himself by hanging, he can’t swim ashore for he’s incapable of such a task; and even if he does survive and get ashore, he’s got a lifetime of debts that would surely finish him off for good, which is why in he tries (and fails in) committing suicide in the first place, by jumping off the bridge before landing into this predicament, one that is very much his own fault. Unable to get help (and unwilling to die), he desperately starts surviving and adapting to a pseudo-bohemian lifestyle of his own, which not long afterwards, starts to appeal to his liking. In fact, he decides against leaving the island forever, living as a social recluse, and finding sustaining means of survival on his own. All is well, until Kim finds a message waiting for him one morning, one that would change his life all over again. Across the river, our man is being watched by a wholly different kind of social recluse. Min is a young lady, who is a complete shut-in, acutely withdrawn from society, within her apartment in a high-rise building yet still living a peaceful and contended life, just like our island hero. She lives with her parents, yet texts on her mobile to communicate with them, she hasn’t come into visual contact with another human being for years, she eats simple food and keeps a strict exercise regiment, she has her own syntax for life and sleeps in bubble-wrap blankets inside her closet. Min’s world is limited to the virtual one on her computer. In fact, she’s actually a local, virtual celebrity online. Her only view into the real world is through a small window, through which she peers out during a airborne-attack military drill every once in six months using her zoom-lens camera. And it’s in this fashion that she spots a lonely islander trying to hang himself from a tree, in vain. This brings about a total turn of events in her life, one that transforms her from a ghoul into a enhanced, hi-tech version of Amélie Poulain, eager to help and in need of love, resulting in surely one of the most memorable characters you’ve ever watched, even amidst the mecca of brilliant quirkiness that Korean cinema has turned into. Our two protagonists don’t even come into sight of one another and share barely ten words (that too, written) during the entire two hours, yet share myriad emotions otherwise impossible to film, and even more impossible to comprehend if otherwise filmed. Mr. Kim, the islander’s character reminds me a lot about Robert Maitland, a character in a very similar situation from J. G. Ballard’s novel Concrete Island, who finds himself stranded on a fenced-off wasteland in the middle of a London motorway intersection, unable to escape due to bizarre reasons. Similarly, Min’s character seems loosely based on a reclusive “Hikkomoro” in Joon-Ho Bong’s short film, Shaking Tokyo, that featured in the anthology of short films Tokyo!, though I believe the latter could’ve been inspired by the former too. When the only two characters in a love story have absolutely no means of physical (or even visual) contact, each living in their respective hermit-states, with no means of communication, no form of acknowledgment for the other’s presence, and with the girl genuinely under the absurd impression that the guy is an estranged extraterrestrial, it is literally a cinematographer’s worst nightmare come true. It could have probably been easier to film a dreamy song in some exotic locale, hero and heroine prancing around each other and singing incoherent lyrics flawlessly.. wholeheartedly declaring their love to the skies and the scenery and extras around. But no, what we see here is both surreal while still real, hilarious while still heartbreaking beneath everything. There’s one touching moment when Min literally nudges our man along, giving him hope amidst lonely despair by simply sliding her little finger across her zoom-lens. Yet another scene blatantly parodies the castaway moment when the guy creates fire. The whole cinema hall was in splits for a full minute.. Though our Kim and Min might seem like freaks of nature to a more traditional, conservative and social audience oblivious to Korean films, they’re actually not so bizarre when compared to the characters you’d often see in several other films from the country. Somehow, Koreans manage to pull it off and make weird seem fashionable while still appearing graceful and elegant. Lee Hae-jun is not as well known as other great Korean directors like Park-Chan Wook, Joon-Ho Bong and Kim-Ki Duk, basking in the breakthrough-era of Korean cinema, post 1997, but he certainly shows plenty of promise, considering the fact he’s scripted the movie himself. As for the young actors, simply taking up such bizarre roles alone shows plenty of courage. But Jae-yeong Jeong’s portrayal of a modern-day, twisted version of Robinson Crusoe should in no way warrant critics to exalt it beyond Tom Hank’s role of Chuck Noland in Cast Away. Mr. Hanks is a terrific actor and far too respected more for his performances than for the millions he makes out of them. And the fact remains that he’s proved his worth in dozens of roles, in more ways than you can perceive his skill. Castaway on the Moon was screened here in Chennai as part of a Korean film festival co-organized by the Indo Cine Appreciation Foundation, the one that organizes the annual Chennai International Film Festival, every December. I’m not really sure if this one’s available on DVD. But if you find a way to access it, and want to spend a light-hearted rainy afternoon, sipping hot beverage while cocooned in layers of blankets, preferably cuddled with yours lovingly, here are your two precious hours, gift-wrapped in painted Korean hanji. At first, you'd think she's onto something, especially when Woody steps in. While you expect him to leave, he doesn't. He latches her onto Peter, the ice-cream man. Between these two, the scrawny, lizard-like chap looks suspicious and dare say, exceedingly obnoxious. He definitely seems like the guy behind everything. He goes around planting evidences here and there..and he simply refuses to LEAVE! But wait a sec. There's this Peter who's not just an ice-cream man, he's THE whipped-cream-coated Mr. Rich n handsome man in London, who looks like bourbon- pastry, even to a doe-eyed Scarlett Johannson, embodying what you might call in Woody's movies...too much of a good thing. And with the old-school sort of traditional narrative, Woody shows us how he could bend our minds with the same chain of motion that we've been accustomed to over several years. At the very beginning, Scoop promises plenty of light moments with its quirky lead-characters, the city of London and yes, a turbo-charged classical soundtrack compilation, one that ranges from Tchaikovsky and Strauß to Edvard Grieg! Infact, there's not a single moment in the film that's entirely devoid of a classical-music background, oozing romance and dollops of love. But it's exactly that love which charms our bespectacled Sondra (Scarlett Johannson), a journalism student away from a valuable opportunity- of-a-lifetime scoop in her hands, one that has been hand-delivered to her practically from the grave. A serial-killer has been on the prowl in London for the past several months. This modern Jack-the-Ripper goes by the name of the Tarot Card killer, strangling several women in London and leaving behind a signature tarot card. Now Peter Lyman is an aristocrat, whose secretary dies immediately after she discovers some facts that lead the murder case investigation directly to Lyman. She meets up with a famed, but deceased newspaper reporter Joe Strombel in a hilariously surreal after-life sequence, on a boat manned by a reaper. She reveals her suspicions to the inquisitive man famous for scoops, turning him back into the blood-hound reporter he was, now with the scoop of the decade in his hands. Desperate to get this news into the papers, he "cheats death" a number of times and comes into contact with our Sondra through an American small-time magician, Sid's "dematerialiser". A thoroughly smitten Sondra ventures to investigate Peter Lyman (Hugh Jackman), who falls for her beauty the very first time he sees her. Seeing where this is going, Sid has no option but to stay close to Sondra for her own "protection". As low a chord as Scarlett Johannson strikes with her passive expressions, she makes up with her wholesome, gorgeous appearance and her bespectacled, girly chatter. Together with Hugh Jackman, these two look like what scientists should keep in mind when they decide to preserve human DNA for cloning the human race in future. But even these two actors are offset with the presence of the least appealing man in all of hollywood, probably because he sleeps upside down to supplement that massive brain of his, and his mouth too.. This lizard-like man might seem like he's high on something while he stammers his way across his lines, but the mere fact that he's Woody Allen, turns his fluid motions into an acting class. A respectable family drama with its style and lethargic editing its main drawback, "Izgnanie" will also definitely test the patient, even Andrei Zvyagintsev's most loyal of fans. Insecurity over the plot is palpable as film overextends its welcome with pondering and introspective filming that doesn't quite translate well on screen. Plot and cinematography, especially in the countryside, offer some solace to art house fans, however audience will wonder why it took too long to make the point. Film follows a middle class family as they go to the pastoral countryside, presumably where the paternal character, Alex (Konstantin Lavronenko) grew up. Plot only advances approximately an hour in the picture as a reveal is introduced. Character and story development is sporadic, definitely welcome, as it reminds audience that they aren't watching paint dry. The final act in the film, a flashback, carries the meatier part of the movie as it emphasizes the tragedy that happens earlier. Adultery, abortion and family secrets are aplenty, however seen and are better executed before. Best actor nod for Konstantin Lavronenko at Cannes 2007 is somewhat deserving. It is indeed a subtle performance, however doesn't hold a candle to other actors vying for the same gong. With an abundance of establishing shots and transport moving in and out of frame, the film could have easily eliminated 30 minutes of its 2 and a half-hour running time. Anna Mass, the editor, has puzzled together a film that wallows in atmosphere and creates images that are borderline pseudo-cathartic. Such scenes include a 3-minute trailing shot of water flowing from a water source that stopped delivering hydration before. May have functioned as time change and indication of liminal moment, but overly indulgent nonetheless, as it feels that it's delivered as art for art's sake. Adapted from a novel by William Saroyan, it is clear that translation is also a problem. With the production of the film being abject to the characters, audience is clearly not allowed into these personalities, only as observers. This abjectivity produces lack of engagement that a plot like this could easily flourish on. From the outside, characters are clearly sophisticated enough and it is curious why connection never gets there. English title is marketed as "The Banishment" as it may signify a plethora of themes and undertones in the movie. It straight up refers to the family's eviction from their 'idealised' Eden in a midtown neighborhood (although clearly far from it as it is depicted as violent and drab), but also refers to the individual isolation of the characters from one another. They are all devoid of communication or any sort of outward emotional connection, except for hate, contempt and the chains of nuclear family. Film becomes a burning effigy to families that are only bonded because they have to. What could have been a beautifully insightful movie on the danger of disregard of family bonds, film overachieves in being meditative to a fault: dragging its run time to way beyond its limits, diluting its intended purpose. The patient will find satisfaction but will still notice the film's over the top brooding by overstuffing it with non-consequential establishing shots, pretending to be worth more than it is. Any Korean film that has Kang Ho-Song in it is worth every minute you spend watching it. This Korean bumble-bee makes the most of whatever his job requires him to do. And the kinds of roles he chooses can baffle even the most determined critic. They are anything from an obscure henchman (The Chaser) to a mad, blood-thirsty vampire (Thirst), a misfit dad (The Host) to a vengeful one (Mr. Vengeance), not to forget the North Korean border guard (Joint Security Area) and “the weird” in The Good, The Bad and The Weird; at present, he is one of the best known faces outside his country. He doesn’t bother about how much screen time his roles garner, yet his skill (despite the fact that he’s never been formally trained) is a cocktail of versatility. Which is why I blindly believed in this 2007 Golden Palm nominee that promised a LOT of tearful moments, with Ho-Song playing second-fiddle to one of the most harrowing female characters that 2007 ever saw. True, Do-yeon Jeon won a lot of accolades for her awesome acting, but let it be known that I wouldn’t have watched Secret Sunshine, if not for Ho-Song. Any movie that begins with a scene showing the protagonist arriving at an unfamiliar place usually ends up with the place itself, town or city, big or small, getting heavily intertwined with his/her life. And so, the apprehension is already underway when we see Shin-ae (Do-yeon) arriving at the small town of Miryang (translated as Secret Sunshine in Chinese) with her son, having decided to come and live in her husband’s birthplace after he dies in a car accident, leaving behind a successful music career in Seoul, evidently out of mental depression, and having effectively renounced any faith in God. Her appearance is perpetually bleached and harried; almost ready to burst into a dam of tears at any given moment, yet she is composed and stoic when it comes to being social. Somehow, she finds a foothold here pretty quickly, stimulating the interest of the local mechanic (Ho-Song), whom she befriends quickly. Starting with piano-tutoring, she quickly manages to secure a deal to buy a new piece of land and start a music school. Life seems to open up a consoling, encouraging vista as she rapidly comes out of her depression, until tragedy strikes and takes away her little son. Shattered and uncertain with her future, she finally accepts God into her life, seeking emotional solace. Little does she know that the very faith that brings her peace holds a different kind of surprise, one that is both cruel and demeaning to her, pulling her deep into an abyss of confusion, grief and madness. The cumulative effect of all her pent-up anger against the world results in her taking a totally destructive, enraged path of action in order to satiate it, one that could only be described as a prelude to Charlotte Gainsbourgh’s character in Antichrist. Right from the beginning, the town itself seems to hide a lot within the psyche of its residents. An evangelic, born-again pharmacist who seems too involved in other’s affairs, a shopkeeper who takes offence upon Shin-ae’s recommendation to re-decorate, an amorous mechanic suddenly turning into a man of faith, an adolescent girl who loves her abusive boyfriend, the girl’s father who maintains a blatant disgust for her and a creepy interest in Shin-ae, her perpetually mute son suddenly giving a beautiful speech in school, the very same women who seem openly affectionate towards her while all the time indulging in crass gossip behind her back…we just don’t seem to find answers to what lies behind all these social anomalies. The director lays out all of them on a platter at face value, from the point-of-view of Shin-ae, and proceeds with the narrative from there. The lives of all the people mentioned above shall come to change, as Shin-ae’s life takes cruel and horrible twists and turns, through the realms of retribution and repentance, culminating into a shattering effect towards the end. We see all the aforesaid characters considerably changed, for better.. The shopkeeper looks happier after business improves, as a result of following up with Shin-ae’s recommendation, the pharmacist’s household ends up riddled with guilt, the young adolescent girl finally decides to take a stand on her life, taking up a hair-dressing job, and the mechanic finds himself evolved into a refined and supportive man with no illicit feelings towards our protagonist… At the same time, we find that as Shin-ae’s life takes a toll into intense grief, she inadvertently has an effect on everyone else in the town, directly or indirectly. Her suffering tips the emotional scale of the entire town in turn, while affecting others, rendering her simply as an object of total pity. Though Milyang might seem like an experiment in grief, it is very obviously and conspicuously scripted in such a way so as to make the film more appealing as a thesis on the society in general, unwritten norms that distance you from others if you refuse to comply: an over-enthusiastic mother gets looked down when she wildly applauds her son’s speech in school, a hysterical, grieving grandmother reviles the mother for not following suit and remaining distanced during her son’s funeral, the almost child-like, unconventional chemistry between mother and child, while in private, the juvenile approach she takes to a threat of ransom in return for her child, the stark difference between others’ release of emotions in a prayer hall, and the mother’s livid grief, Shin-ae looking upwards dramatically changing in meaning, before and after she renounces God, a relatively gentle man turning into a monster of rage against someone who stood him up on a formal date. There’s even a heavy criticism (even mockery) of the delusional, evangelical methods of Catholicism which, when considered along with Shin-ae’s state of mind, could be entirely pardonable. 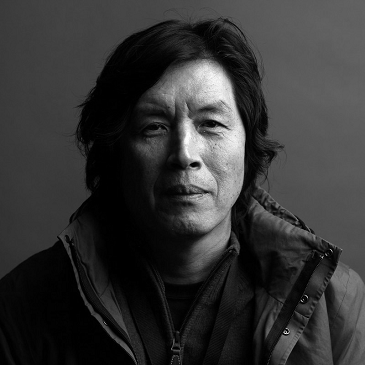 Chang-dong Lee has always been a critic of the general culture in Korea, ever since his first film, Green Fish (also starring Ho-Song). In fact, he even found it bittersweet to have been appointed after his tremendous success as a filmmaker, as Minister for Culture and Tourism by the Korean republic, having originally started out as an acclaimed novelist. He resigned after a year, to return to making films. The stark, simple, sunlit cinematography far away from the chaos of the cities acts as a source of comfort and an aid for consolation. There is a perpetual, documentary feel throughout the film, with long tracking shots mostly behind the protagonist, very unorthodox camera angles and also extended shots of her while she’s grieving alone, even the whole narrative is solely based from Shin-ae’s POV. In fact, I am led to recall watching Kim Ki-Duk’s Spring, Summer, Fall, Winter and Spring, thinking of the woman who comes to find peace, as a post-Milyang Shin-ae with acute mental depression. Yes, there have been several referrals to the movies of Von Trier, and aptly so too with the perpetually traumatized woman being a vacuum pump for your tear-glands and no possible hope in sight. But what Chang-dong Lee actually tries here is to establish a (biblical?) connection between one individual’s suffering and the happiness of some half-a-dozen others while putting forward the question of whether it is really worth it. And if I’m correct in interpreting the abrupt ending (Chang-dong Lee opens his movie with a shot of the sky and closes it with a visual of an ugly patch of earth) as her emotions coming to a full circle, I guess she’ll cope with it on her own terms, unable to ever forget what’s happened, well who can? Every once and while, film buffs get a treat. Amongst all the crash and burn violence and volume of the summer blockbusters, every once and while, a movie will sneak under the radar and capture our attention. Owning Mahowny didn't get much of a theatrical release. Distributed by Sony Pictures Classics, the film never played on more than 24 screens and earned only a fraction of the minute $10 million budget. But here is your chance to find it in the lonely ‘O' section of your local DVD retailer. 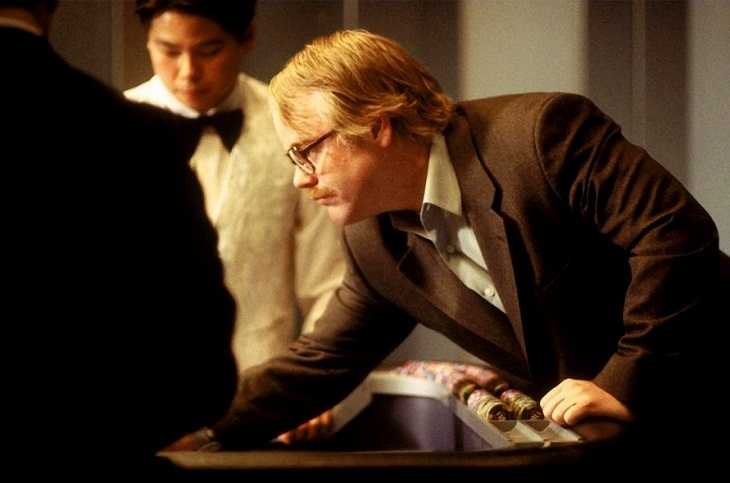 The movie is based on the true story of Dan Mahowny (Phillip Seymour Hoffman), a mid-level bank official that has a gambling problem. Dan will bet on almost anything and his addiction would result in a financial hole not easily climbed. It is here that Dan begins to use his title at the Canadian Imperial Bank of Commerce to fraudulently steal money for week-end trips to Las Vegas and Atlantic City. Over his eighteen month spree, Dan was able to gamble over $10 million of the banks dollars. The film follows Dan through the initial stages of his addiction and careful details his interaction with Vegas hotel staff, co-workers and his girlfriend as he feeds his desires while keeping his compulsion secret. As he falls deeper into the casino's pockets, the hotel owners fall deeper in love with his freelance style, and Dan is soon treated with celebrity like status upon every visit. However, eventually, the police begin to piece the missing money together and the result is the uncovering of the biggest one-man bank fraud to ever hit the Canadian borders. Owning Mahowny is a terrific film largely in part to the incredible acting performance by Hoffman. As Dan Mahowny, Hoffman is able to portray an insatiable gambler who is ignorant to his surroundings when at the card table. His stare at the table and lack of emotional response, either for the good or the bad, is incredibly parlayed by Hoffman's sweat and stature. A scene where Mahowny takes his girlfriend to Vegas but quickly ignores and forgets her once he is in front of a blackjack table is unforgettable. Owning Mahowny is not without its good supporting cast either, including John Hurt (Alien) as the Casino owner that takes a shine to Mahowny and Minnie Driver (Good Will Hunting) as his girlfriend. Both show us the contrast between someone who doesn't want to know how he does it and loves him for it and the other who can't seem to get to know the man she loves. Like 1999's Rogue Trader, it is scary to see the loopholes exploited by bank or financial institution employees in these true stories brought to the big screen. It both movies, you see how one man with the access to large amounts of money can easily get over their own head and dig themselves deeper and deeper into a whole, yet they are always thinking they are one bet or one trade away from righting the wrong. Owning Mahowny was one of the best films of 2003, and should not be missed. Storytelling doesn't get any better than this. It's rare for the following two things to coincide: One, a small-time actor, writer & director scripting a story with two leading characters, to be played by a specific, prolific actor, whose refusal would have resulted in the script itself being scrapped; and Two, the actor himself willing to be so desperately keen to act in the movie that he forgoes half his pay to simply bag the part. Leaves of Grass might seem like a feeble attempt at bridging a gap between the Coen brothers and well..(Pineapple Express??) Tim Blake Nelson might be more memorable as the somewhat dazed Delmar character from O Brother, Where Art Thou? But here he is with a script, a production budget and even proving he can direct a movie himself. I'm not familiar with his Grey Zone and Eye of God, but if he could write a complicated script with such ease, I'm certainly lauding him for them too..
And there's Edward Norton, the man who would never agree to appear in a film he didn't believe he had reason to respect, playing two opposite roles now with a subtle, yet b/w contrast. From the opening scene to the close, we see worked out in the transformation of young and admired Brown University Classics Professor, Bill Kincaid (Norton), that regardless of any improvement we may think we have made in our lives or our selves, we never really leave our childhood homes and family, for we carry it and them with us, and we should, as we try to somehow balance the past with the future, the rational and intellectual with the emotional and experiential, control with unbridled exuberance. While the script is one of ideas, the movie is realized by a great cast, full of humanity and warmth and life. We learn, for example, from Bill's high tech state of the art hydroponic agrologist-gone-haywire pot growing identical twin brother, Brady (also Norton), the relationship between God and parallel lines. Brady, with a false message of his own death, tricks brother Bill, who has eschewed and remains estranged from his family, into returning home to the small town of Idabel in southeast Oklahoma (closer to Hope and El Dorado than Tulsa) to help with Brady's scheme to negotiate a loan extension with the state's drug kingpin from Tulsa, the otherwise respectable oilfield equipment purveyor and Jewish philanthropist, Pug (delightfully and fiercelyplayed by Richard Dreyfuss). After being fetched at the airport by Bolger (Tim Blake Neslon), Brady's best friend, partner in crime, and all around Sancho Panza, Bolger takes Bill to the rival drug gang's headquarters, to test whether they will mistake Bill for Brady. They do, and Bill is pummeled to senselessness, only to wake up at Brady's home, discovering that Brady is alive and wants him becoming a participant in a scheme for an alibi if the drug loan renegotiation, as he thinks it will,turns bad. Bill is unwilling, at least until the persuasive Brady charms him into a monster bong hit of the 7th generation Uber-potent bud being cultivated by Brady and Bolger. As Bill the professor is "annihilated" in a puff of smoke, Bill the brother begins to become reborn, relearning from Brady what he has forgotten, a passion for life, in all of its quirky, messy, deadly serious, loving, and improbable guises. As Brady's plan unfolds, Bill is bound ever closer in the scheme, and to the family and place he thought he could do without in his quest for success and control over his life. Charmed by local teacher and poet, Janet (played with equal parts innocent charm, brutally competent knife-wielding non-chalance, and subtlety by Kerri Russell), Bill learns from her the ancient art of noodling for monster catfish and is reminded by her recitations of, and commentary about, Whitman's free verse, and her own, that not all that is beautiful and majestic follows classical rules of form and expectation. And love, that terrible beauty, is born. 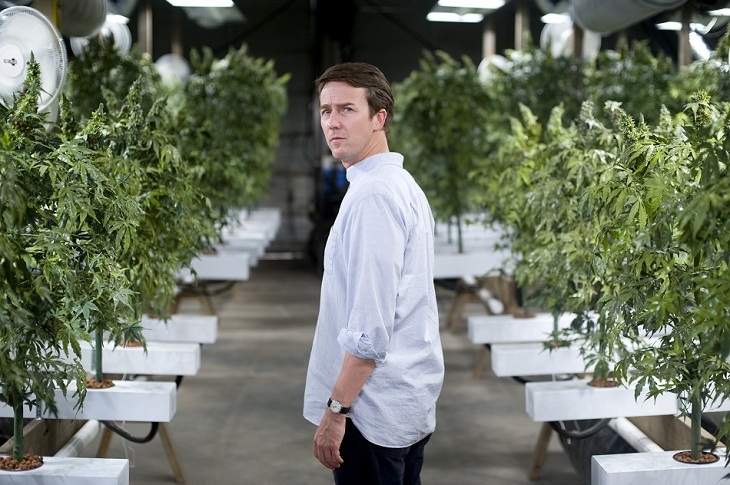 In reuniting with his mother, a pot-smoking ex-flower child fed up with the world, who has checked herself into a nursing home so that she "can do as she pleases" (played by the ever beguiling and compelling Susan Sarandon), Bill learns of the patience, depth, frustration,and courage of love that lets go and trusts. And when Bill seeks forgiveness and understanding for a terrible wrong by his brother from Pug's rabbi (rivetingly played by Maggie Siff), he learns that atonement is only approached, but perhaps never achieved, by the hard work of righting what is wrong. The comedy, as mentioned, is pitch black and the sudden switch from laughs to gasps happens in a blink of an eye, honestly you won't see what's coming before your left open jawed at the outcome. Its this kind of storytelling that keeps viewers riveted, you just don't know what's coming and that I feel is the secret to a really good film. This is a solid debut from Blake Nelson, albeit held together by Norton, so it's going to be interesting to see what he does next.